A fantastic turnout of well over 90 people, by some counts 100+, amassed on Mousehold Heath yesterday. Not a reenactment of the 1549 Kett’s Rebellion but a mass art event with dozens of artists painting side by side the skyline views of Norwich before a beautiful sunset descended. 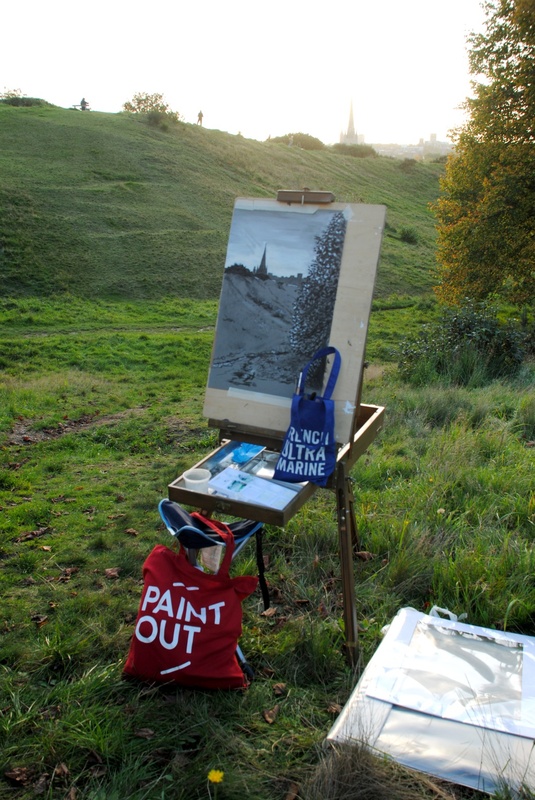 The light changed frequently adding to the en plein air challenge of painting a changing scene with the distraction of public gaze, press filming, bemused dog-walkers, and kids either rolling on the green hillside or picking up crayons to draw their own young masterpieces. The attraction of the varied views and inspiration of so many fellow artists of all ages and abilities made the event a resounding success, and one we will no doubt repeat. 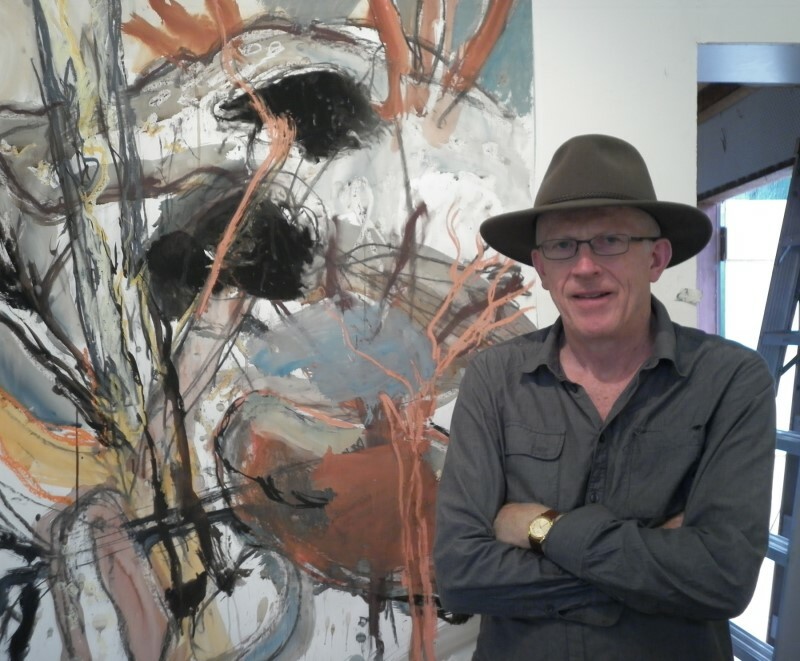 One of the judges for Paint Out‘s core and nocturne event prize awards, David Curtis, also took up his easel and palette to paint. Renowned local ‘pop artist’ Colin Self was also about the Heath planning to do a brass rubbing. The event proved to be a big draw, bringing people not just from Norfolk but several driving 3-4 hours from Kent and Yorkshire just to take part in the public spectacle. 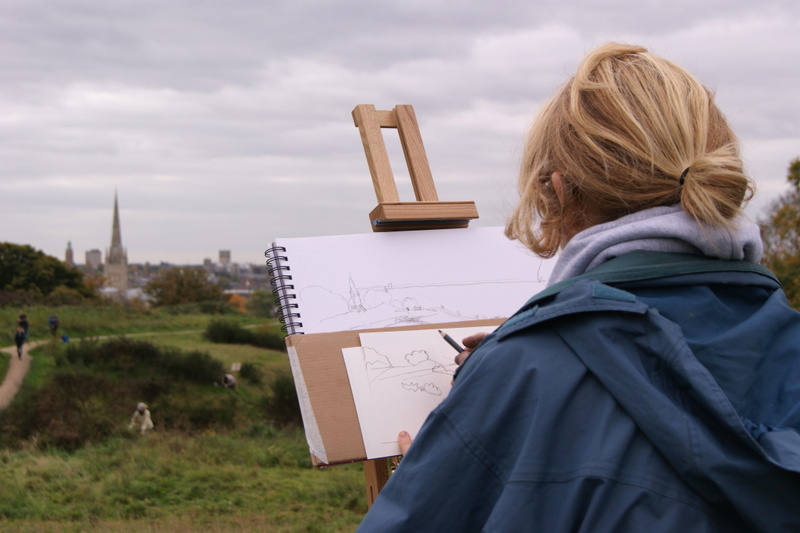 October is also the month of the world’s biggest drawing competition – The Big Draw, with events taking place all month, so it was appropriate for art in all its forms from pens to paint, brass-rubbing to mixed media collage, to be taking place on the Heath. Unlike our juried entry main Plein Air competition this event was open to all-comers by prior registration and nearly 60 signed up to join around 40 Paint Out artists. Many just showed up on the day and braved the initially ominous but turning-out-to-be beautiful weather. 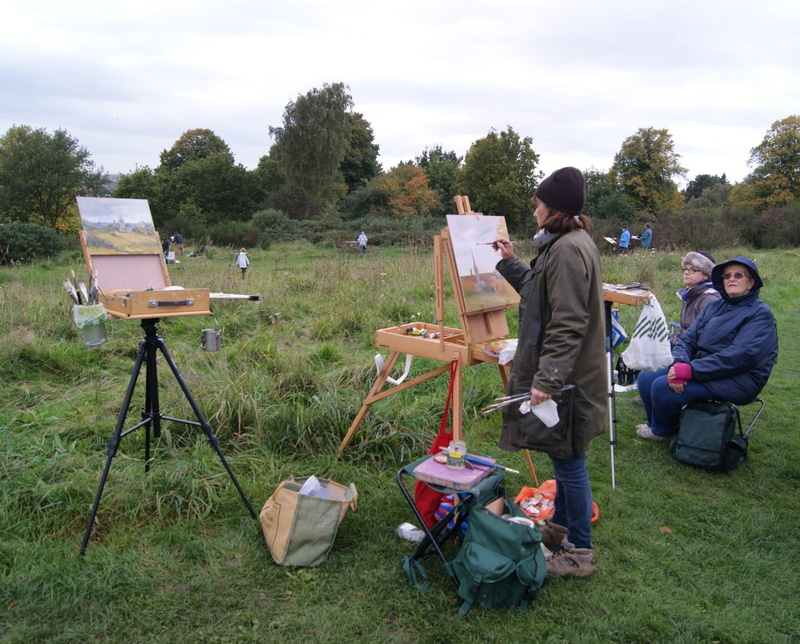 All ages from 5 to 85 were represented including whole families treating art on the Heath as a creative day out. Picnic blankets filled with pens and paints, rather food and fizz, filled the undulating slopes as people sought the best positions to paint the landscape. Three generations of one family took part – from grandmother to mother and daughters. The artistic East Anglian Sendall family also included a mother and daughter pairing, Jennifer and Susannah Sendall, taking part in the main competition as well. Both uses of the word media were in evidence as most forms of media were represented. 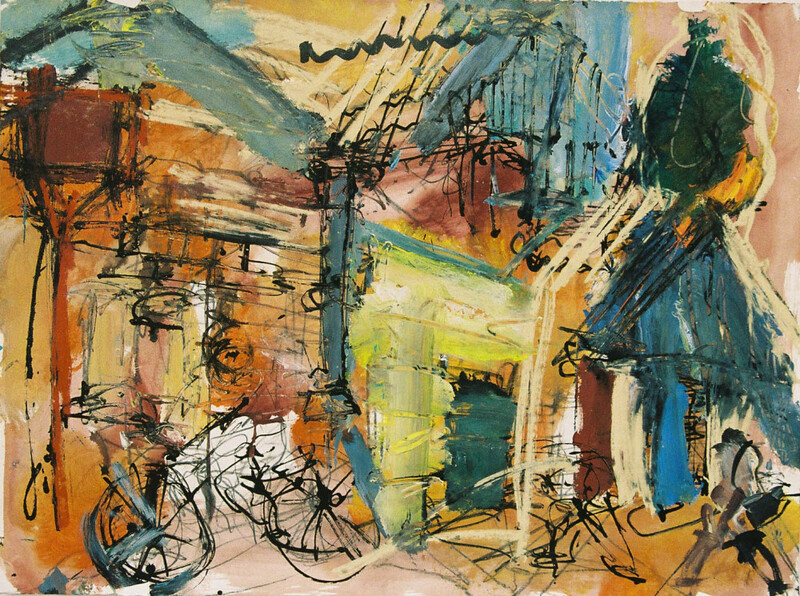 Artists using oils, paints, pastels, pens, papier mache, glue, grass, and even a beer can, meant mixed media was much in evidence in the creation of art works. Meanwhile, radio, TV, photographers and videographers grabbed footage of the rolling hills and heath filled with artists and families on a fun day out for all. Cass Art were our sponsors for the event, their mission being to “fill this town with artists”, the hills were indeed filled with artists of all ages and who gratefully received Cass Art discount vouchers and later next week will also be awarded Cass Art prizes to spend online or at Cass Art stores. Several artists had clearly shopped there before as some Cass Art bags were in evidence on the heath alongside the Paint Out bags. 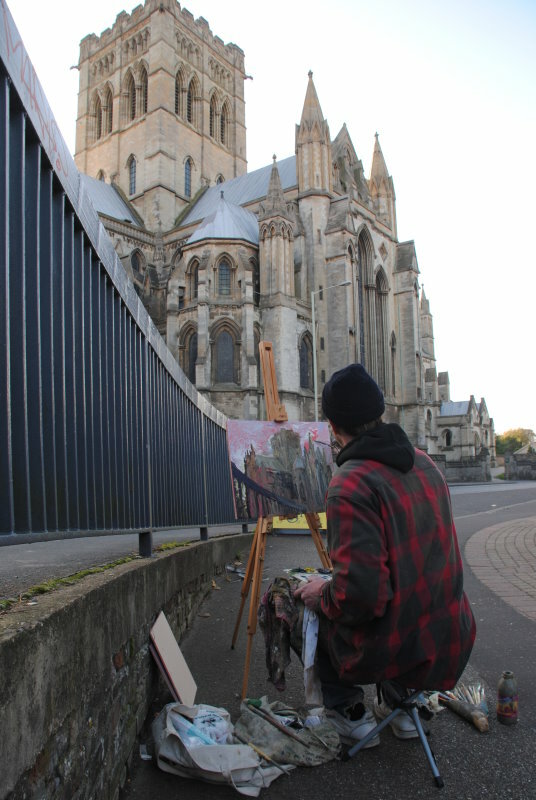 The public Mousehold works were displayed at OPEN and the main competition artists paintings are on display at various venues across Norwich throughout October and November. The Paint Out artists were well fed courtesy of Café Britannia and quite a number of artists turned their backs on Norwich, which at times became contre-jour and instead chose to paint the Victorian Prison or Barracks turned café. The former home of the Royal Norfolk Regiment barracks is an imposing red brick building almost matching the Autumnal colours of the trees in seasonal change. The Paint Out competition artworks will be displayed alongside the core and nocturne painting events of the last few days at the Cathedral Hostry gallery exhibition show of nearly 200 artworks from Saturday 24-30th October. The Mousehold public artworks will be displayed from Tuesday 27th till Saturday 31st October at the OPEN venue (20 Bank Plain, top of London Street, Norwich NR2 4SF). 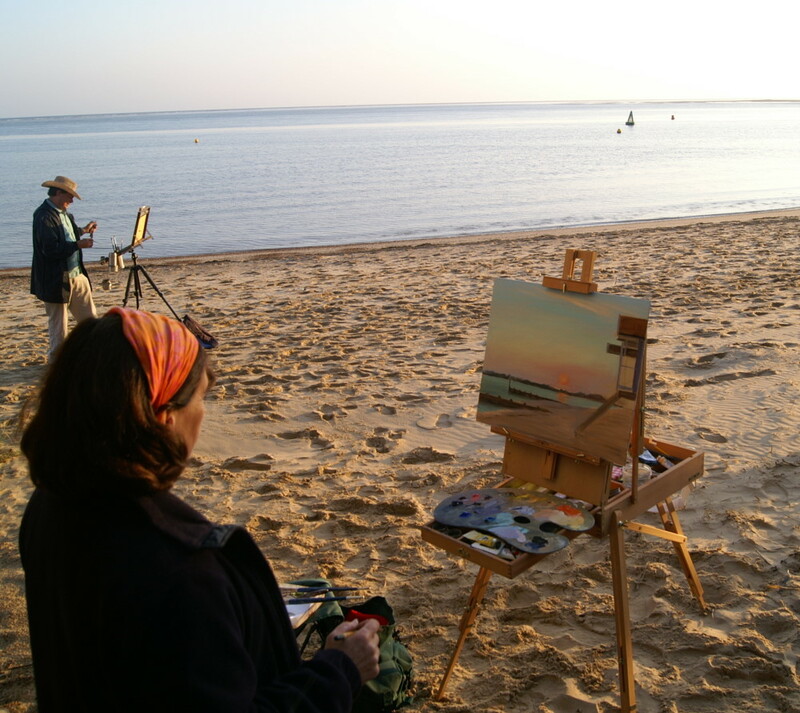 Following up on the successful mass Sunrise ‘paint out’ at Norfolk’s Wells-next-the-Sea as part of Paint Out Wells 2015, Paint Out are holding a similar event for artists of all ages and abilities at Paint Out Norwich, October 22, 1:30-4:30pm. Register to take part for free. 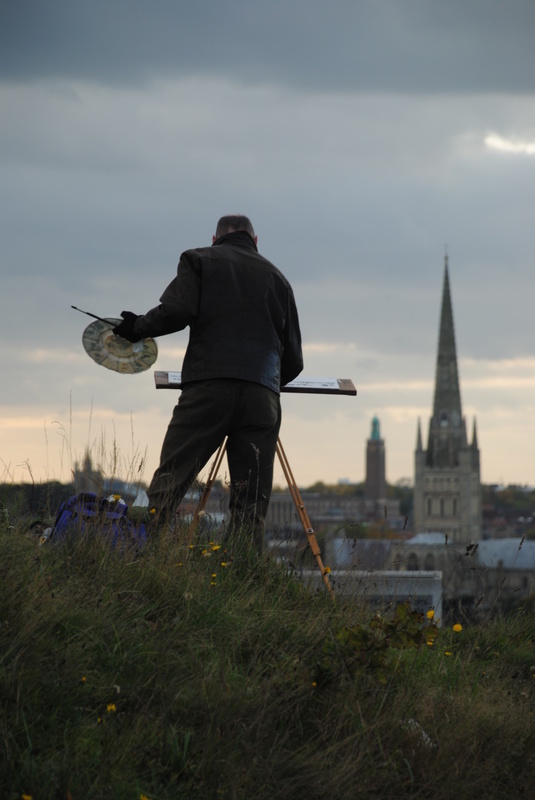 Over 40 Paint Out Norwich competition artists will join members of the public – amateur and keen artists alike, in a mass painting session on historic Mousehold Heath with its expansive skyline views overlooking the city of Norwich taking in the towering spire of Norwich Cathedral. 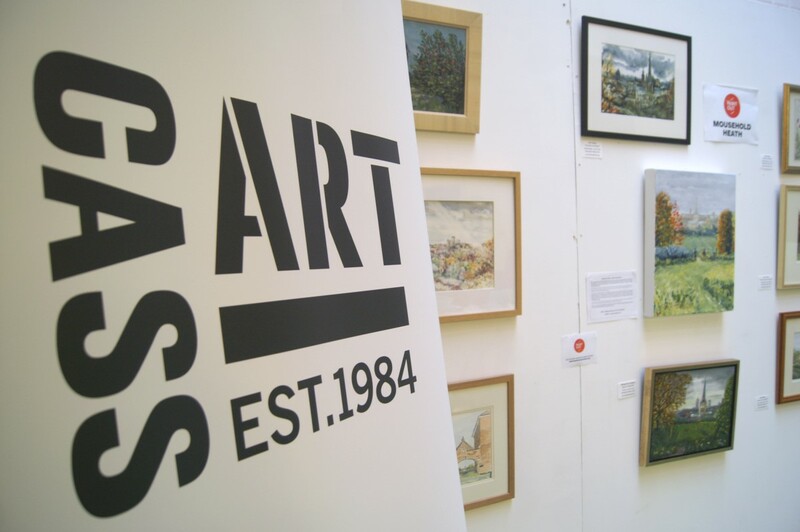 Once again, as Cass Art did at the Wells sunrise event, Cass Art have announced that they will supply substantial art voucher prizes to reward a range of public artists, young and adult alike, with art supplies to keep their talent growing. Cass Art are also sponsoring an art bursary prize for the best young artist 30 or under at the Paint Out Norwich competition. Already the mass ‘paint out’ is attracting press attention having been discussed on BBC Radio Norfolk and made the front and inside pages of the Norwich Evening News & Eastern Daily Press this week. Over 55 public artists have already registered and people can still register until the day itself. One entire family from age 5 upwards have registered to truly make this an all-age event with others as old as 85 taking part. Another family is represented by three generations of grandmother, mother and daughters, of whom, two are also entering the core competition! 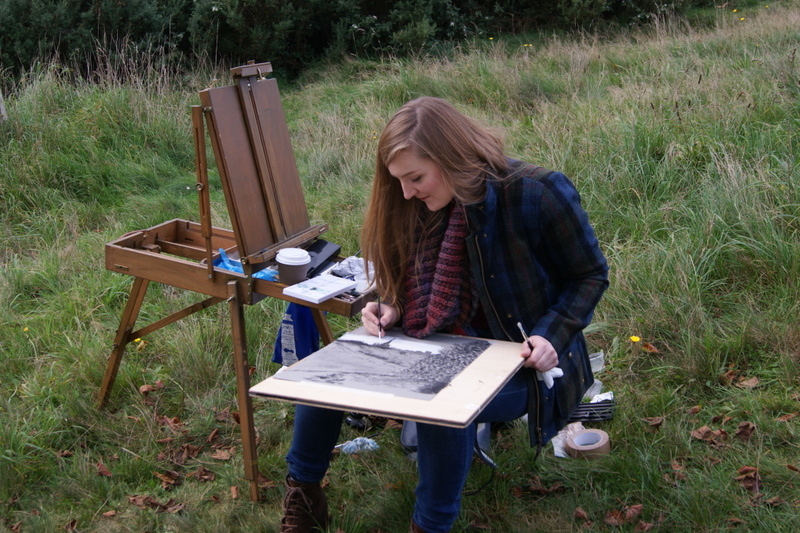 The Heath will therefore could be filled with over 90 combined artists painting the landscape in pastels, oils, watercolour, acrylic, pen and ink, mixed media, drawing or anything else that can be applied to canvas/board/paper. October is also the month of the world’s biggest drawing festival the Big Draw art event whose theme this year is “every drawing tells a story”. 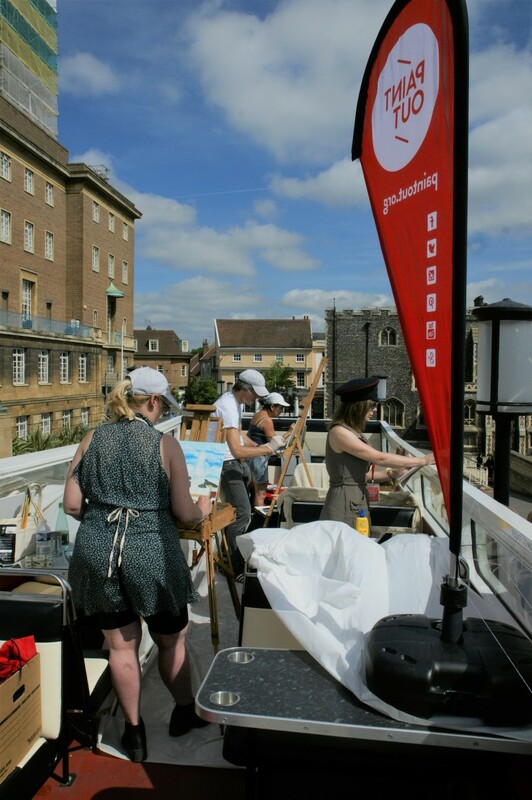 Last year’s Norwich competition even saw plein air screen-printing! You can bring canvas, board, paper, sketchpad, or anything else on which to make art, that can be hung on a wall at the OPEN venue in Norwich, Tuesday 27 – Saturday 31 October. View the event on Facebook and sign up to take part for free. Mousehold Heath has featured in significant Norwich history in several centuries stretching back nearly 900 years. From William of Norwich in 1144 to the Peasant’s Revolt of 1381 and in 1549 it served as a launchpad for the Kett’s Rebellion. If this Paint Out event continues to gather pace it will be a significant mass gathering and historic open air art event itself. 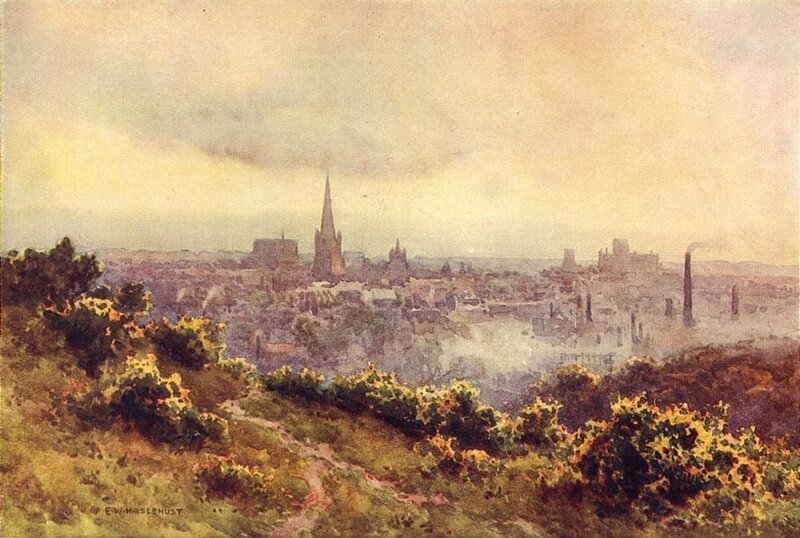 Both Mousehold Heath itself and the view of Norwich from it have featured in 19th century paintings by several members of the Norwich School of Artists including John Crome and John Sell Cotman. Paint Out‘s mission is to reinvigorate and redefine en plein air art for the 21st century and its growing Plein Air competitions and public art event inclusivity mean that it is well on its way to bringing art to the masses, just as the Norwich School of Artists in 1803 was Britain’s first provincial art movement founded by and for working-class artists. They even held their first art meeting in the The Hole in the Wall tavern. 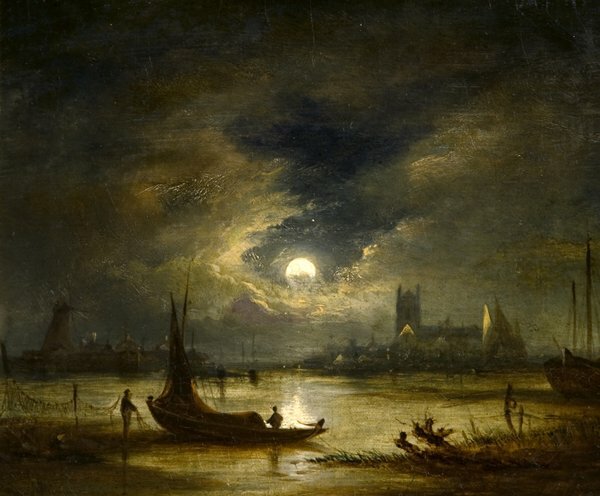 John Crome began life as the son of a weaver and went from being an apprentice sign-painter to being collected and exhibited in The Tate Gallery, Royal Academy and by the philanthropist and politician Jeremiah James Colman, a scion of the famous Colman’s Mustard family. The works he amassed were eventually donated to the Norwich Castle Museum & Art Gallery. In commenting, on whether repetition of what has been painted before lacks originality, the art critic Arthur Coleman Danto decried that on the contrary one should neither be put off nor be blinded to the freshness of the new interpretation. 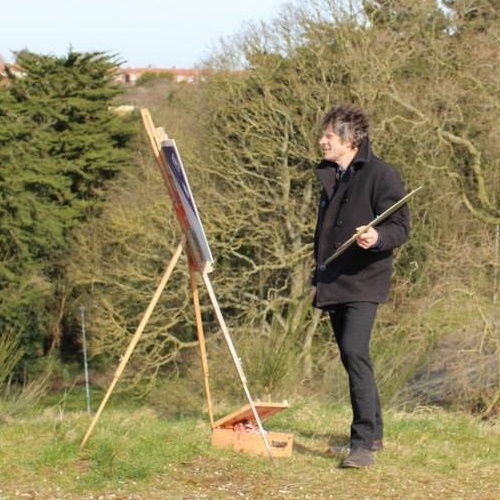 Easels are indeed not dead, in fact, they are being revived as Paint Out and other plein air events revive open air painting across the UK, Ireland, Europe, and America. You can see easels everywhere during 9-11 September in Wells, North Norfolk and 20-22 October in Norwich. You can apply to take part or enter the public sunrise ‘paint out’. 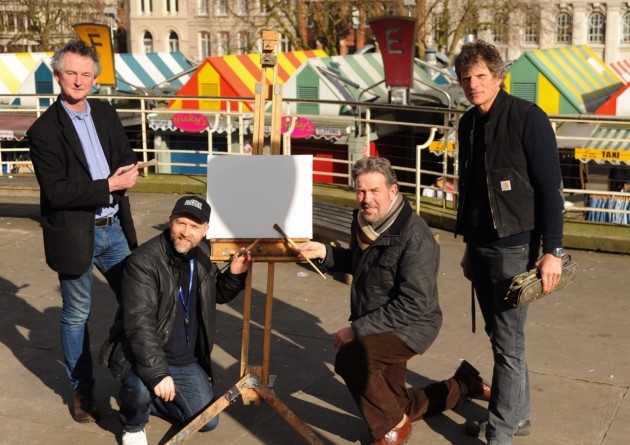 Regional press and television – the EDP, Norwich Evening News, and Mustard TV – covered the announcement of further details about this year’s Paint Out Norwich en plein air painting competition. 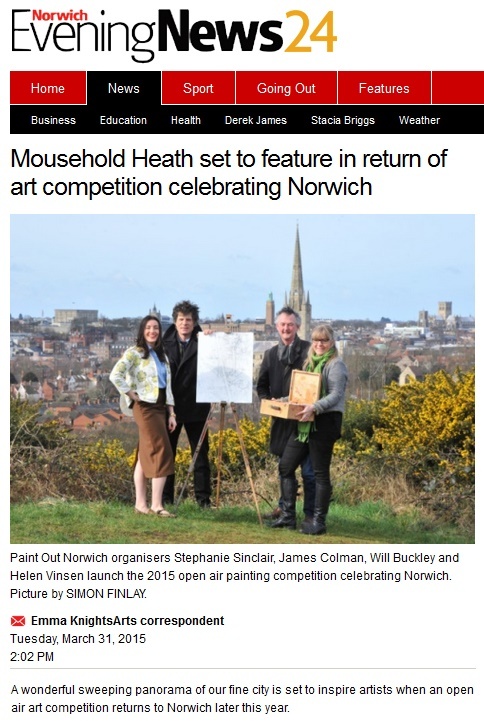 Mousehold Heath, overlooking Norwich’s historic views, will be among new and additional locations taken on by up to 50 jury-selected artists. In Tudor times, Mousehold Heath once stretched as far north as South Walsham and was then 22 miles round in size. 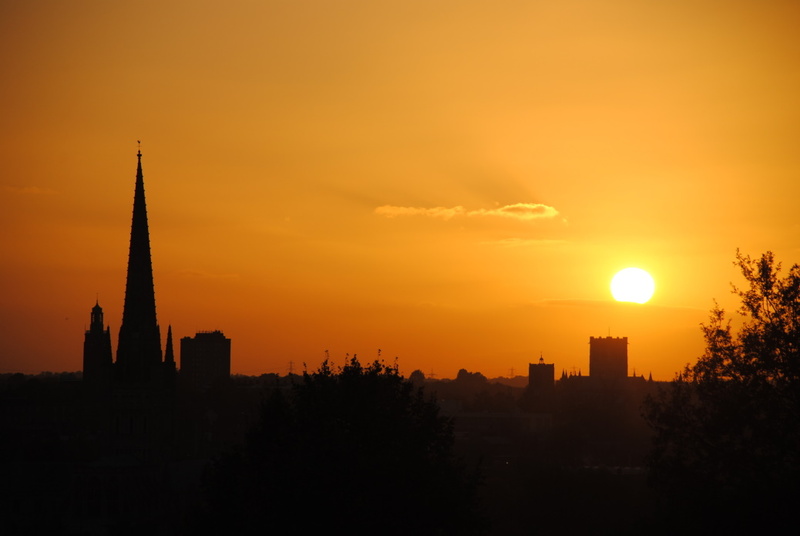 It is a historic site that has been a part of a battle, Peasants’ revolt and was the location of the 16,000 men of Kett’s rebellion before they stormed Norwich. 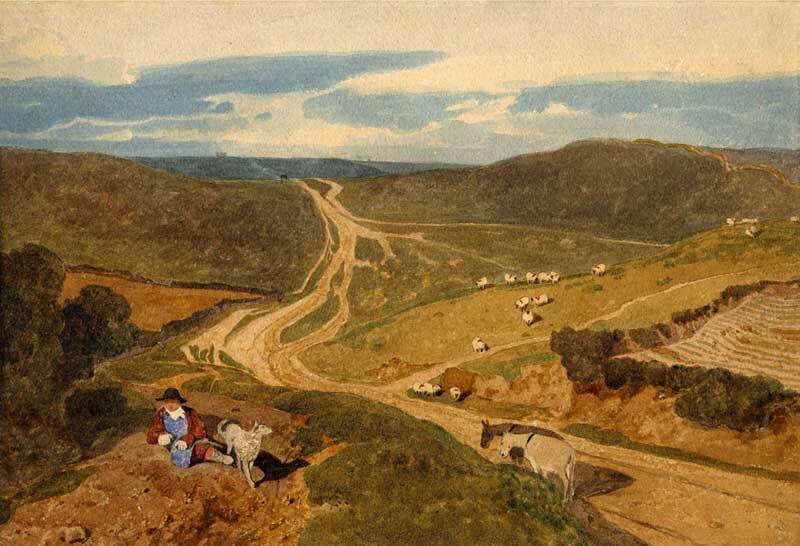 Mousehold Heath has featured in famous paintings by several of the Norwich School of Artists, including John Crome and John Sell Cotman, as well as the Norwich born novelist and artist, and former Lord Mayor, RH Mottram. “a classic heathland landscape. The area was kept open by grazing animals and by local people collecting bedding and feed for livestock and fuel for the winter. As the way people lived changed, these traditions disappeared. This resulted in a gradual loss of open heath to scrub and woodland.” Read more about Mousehold Heath’s history and conservation. It is confirmed therefore, that the 2015 Paint Out Norwich competition will have 3 painting days and 2 nights 20-22 October, with an auction and exhibition in the 2 weeks following. 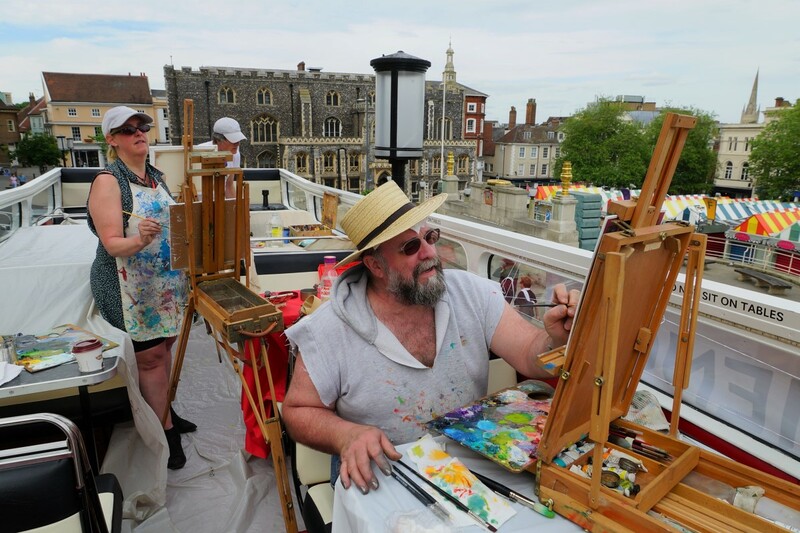 After the success of Paint Out Norwich last year, Norfolk’s premier “Plein Air” art (painting and other media) competition returns 19-23 October 2015. This year’s competition will run during the week of 19 October and will see more artists, additional locations, and new features to be confirmed over the course of this month. The event will again culminate in a gala, auction, and an exhibition of the artists’ work to continue two weeks after the event. 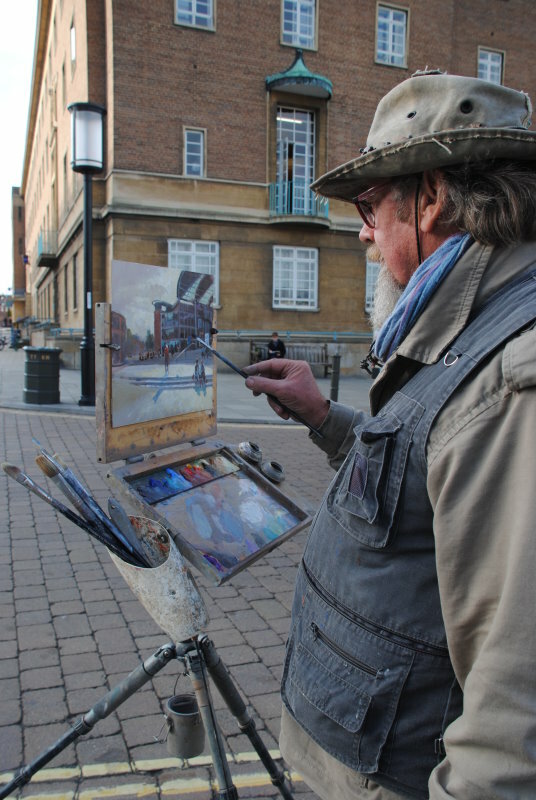 The en plein air Norfolk-based art competition aims to attract national and international talent with this growing annual event that focuses on the challenges imposed by creating work “on the spot” in the urban environment, fast-changing light, and prevailing weather conditions. 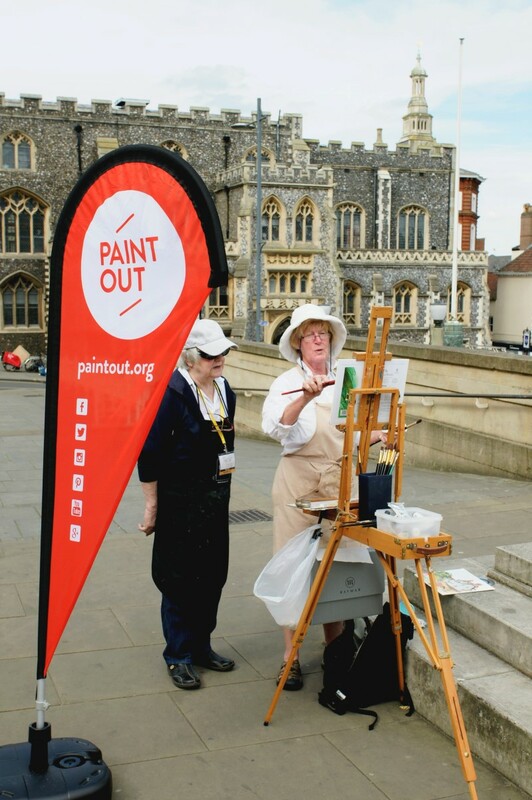 As well as the competition itself, Paint Out Norwich aims to promote the local Norwich and Norfolk arts scene, and provide a dynamic interactive educational experience for onlookers. 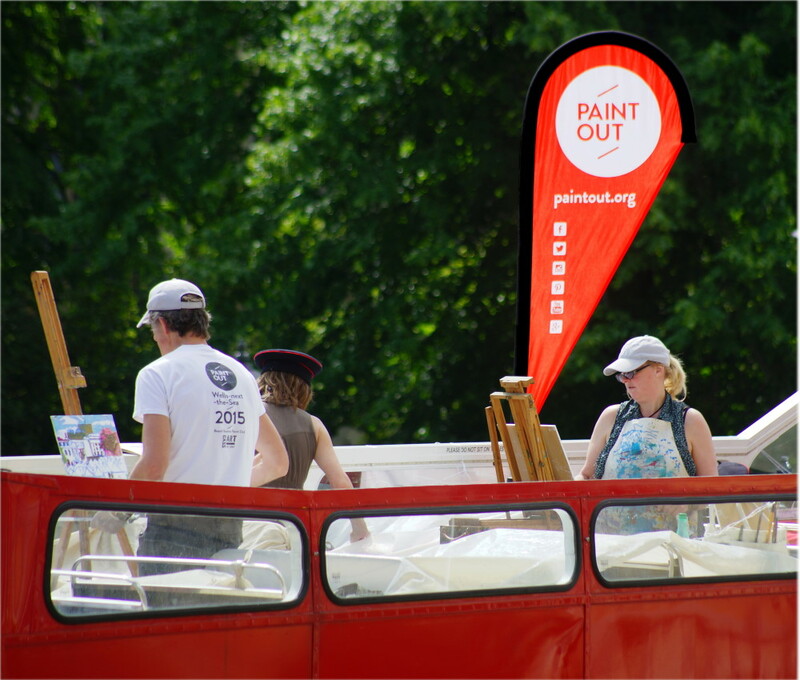 Read the full press release announcing Paint Out Norwich 2015 competition dates and taster details. Applications for the inaugural Paint Out Norwich 2014 competition closed at midnight on 1 September. The “overwhelmingly positive response from artists near and far” has meant hard work for the selection panel. Between September 1 and 21 the submitted artists are being scrutinised by our panel of experts including Will Buckley, James Colman, Rev Dr Peter Doll, Mike King, and Stephanie Sinclair, in order to select not only the best, but a varied range of styles to make for an interesting and exciting competition that will appeal to both artists and appreciators of art. 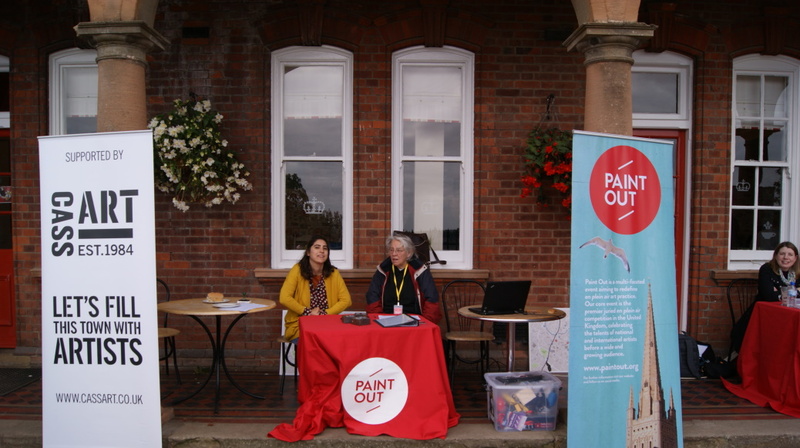 Paint Out Norwich will announce the final cut of artists from among the nearly 60 who entered in the week beginning 22 September after what will no doubt be an arduous selection task. 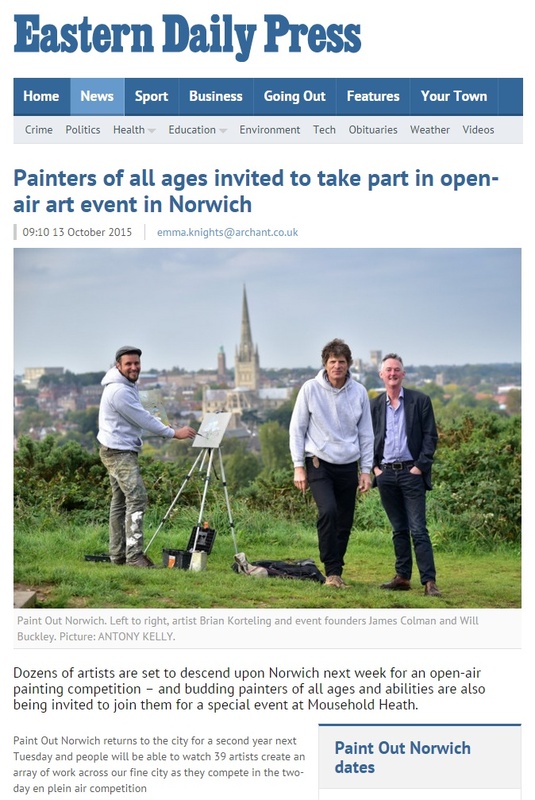 Paint Out Norwich 2014 is a 2-day plein air painting competition at prominent Norwich city venues during the October Hostry Festival, now in its fourth year. The days set aside for painting are Wednesday and Thursday 22-23 October 2014 and the public are invited to watch the works in progress. Amanda Geitner, Head of Exhibitions at The Sainsbury Centre for Visual Arts, UEA. See more from the EDP story of the competition announcement.